Can you be or get too close to a situation or group of people to design effectively for it or them? Or is being fully in that situation or group of people beneficial, perhaps even essential? 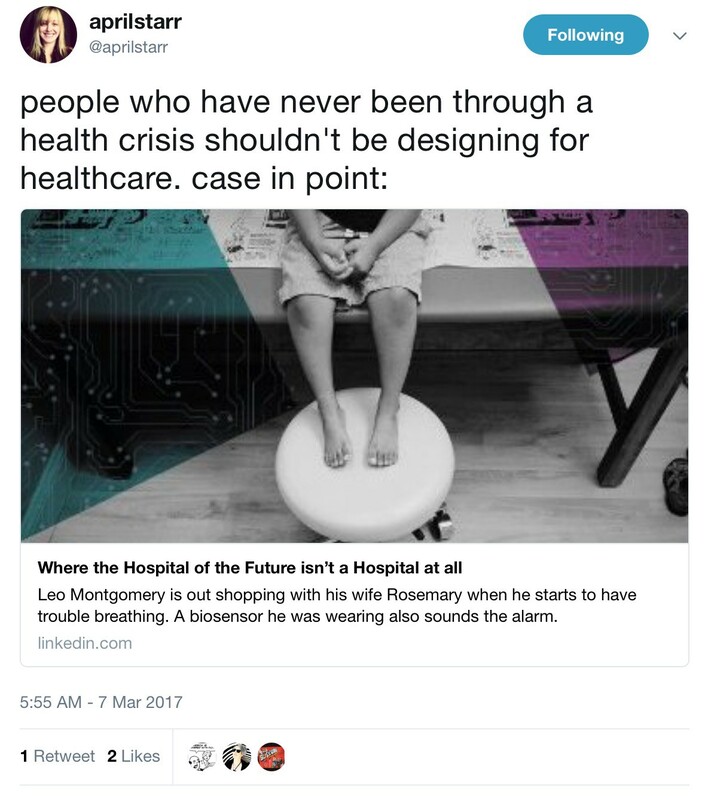 Don Norman and Roberto Verganti are among those who have argued that “the more that design researchers immerse themselves in the existing context, the more they … are trapped within the current paradigms,” making it difficult to imagine, let alone design, a paradigm change when such might be needed. About 10 years ago, I worked on a project for a new system for people with diabetes. We talked with many people who had diabetes or who helped educate diabetics. I even wore an insulin pump around for several days. In short, we were building up subject matter knowledge and empathy for the people we were designing for. During this user research phase many of us (myself included) started to have actual nightmares that we had diabetes. I remember once looking at my toes, wondering if the tingling I was feeling was the onset of diabetes. (It wasn’t — probably just my foot was asleep.) We’d empathized to the point where we really identified with diabetics and their problems, which are considerable. We had so much empathy for them, in fact, that for several weeks, we couldn’t solve the problem. It seemed intractable, given what we knew about the condition and the state of technology at the time. I am entirely convinced that our greatest successes have and will come from work that is local, deeply entrenched, long-term, and in our own backyards. I firmly believe that lasting impact requires all three of the following: proximity (simply being there, in the place you seek to design with and for), empathic investment (a personal and emotional stake in collective prosperity), and pervasiveness (…involvement that has impact at multiple scales). On what was this view based? (After more than a year) bouncing between projects, constantly having to shift gears between cities, user groups, research sets, prototypes, and team dynamics… we began working closely with a single school district: the Bertie County Schools in Eastern North Carolina. Bertie County is the poorest county in the state, with close to 80 percent of its school district’s students living in poverty. Since the partnership’s start (a year ago, we) have spent nearly half our time in Bertie, building educational playgrounds, designing new computer labs, rewriting entire curricula, and implementing countywide education campaigns. What we quickly discovered was that being there, as citizens, rather than just designers, was 80 percent of the battle. By becoming immersed in the community, cheering at high school basketball games, and weighing in at board meetings, we have earned the trust and partnership of the school district’s teachers, parents, and students, making our work more personal, appropriate, responsive, and meaningful. Gathering feedback from the community happens more smoothly, the ability to prototype and experiment with new ideas is more fluid, and a public understanding of our process has become more common. All the capacities required by the design process have become more natural through face-to-face engagement and open communication with the community, which of course, requires us to be there. Where wide-scale endeavors fall flat is in their cursory understanding and lack of long-lasting commitment to the communities they serve. It is only by becoming a member of a community… that we can truly understand the issues and produce sustainable and effective solutions. For all the talk about being human-centered, one very human factor often gets overlooked — a basic understanding of how power operates in relationships between people. This lack of understanding by design(ers) results in wasted funding, poorly prioritized projects, and broken promises to the very communities that are being served. Alex and I were embedded into the trans and queer community of Austin, and it’s really hard when you’re part of the LGBTQ community and also talking with members of that community about their needs to not feel like you want to take action right then and there. There were a lot of emotions I felt around the research that was just difficult to process as a queer person myself. The Transgender Day of Remembrance is an event held for the community to remember the lives of the transgender victims of homicide with that year and to communally grieve. So throughout all of our interaction with the trans and queer community, the underlying ribbon we found is that somebody usually knows someone who has died whether through murder or through suicide. It’s tragic, and it’s awful, but that is the day to day of our community. As I was listening to the many names called out of lives lost that year, I started sobbing. Watching one person grieve is harrowing, but watching an entire community grieve, and feel connected to people you haven’t even met, is something that is completely, deeply, and soulfully impactful. At the time we dove really deep into the research but it struck a very deep, dear, personal chord with me. I previously considered myself a member of the queer community but through that research, I realized that I hadn’t been a good ally of the trans community like I previously thought. I didn’t have enough information or empathy to properly support our trans community then. I don’t think that (the app we designed for the queer community when we were students at the Austin Center for Design) would have worked in the state it was in (then) because I wasn’t as embedded in the queer community as I am today. I am now a regular member of several queer community meet-ups and work with an internal group at frog that promotes diversity and inclusion. I realize in my specific case, in order to be helpful and beneficial and really design for that community, you have to be embedded in it. In my current position within the community, I feel far more able to help people. Is all of this only of relevance when addressing “wicked problems” (i.e., social issues of great complexity)? 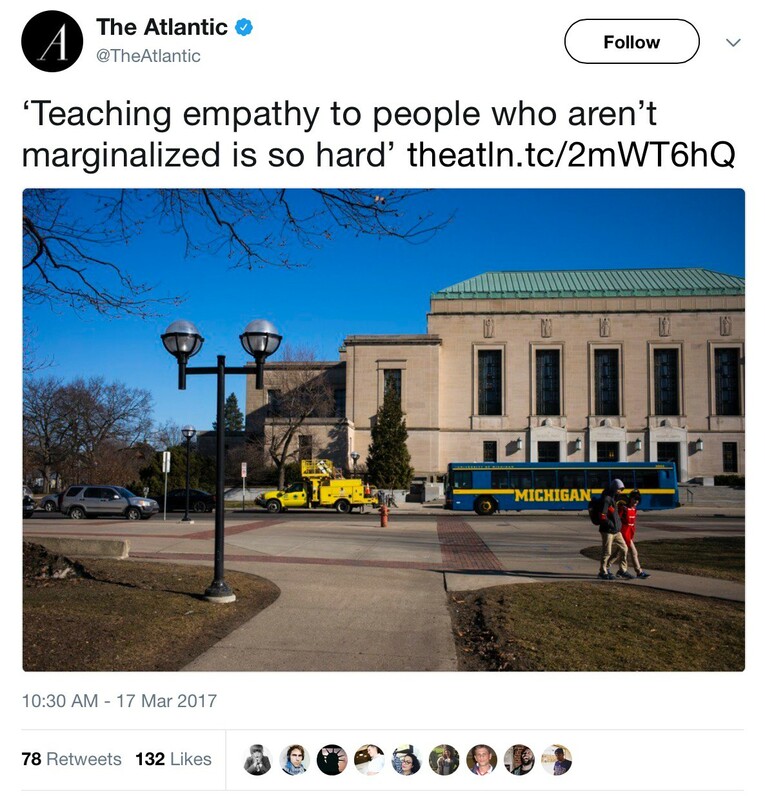 Empathy will get you to see the problems from the users’ perspective, but not the solutions. Do you think Emily Pilloton and Chelsea Hostetter would agree? Would George Aye find this imbalance of power to be acceptable?